In Colorado, the steps of filing for legal separation are similar to the steps in filing for a divorce. In cases of legal separation, spouses retain some insurance and Social Security ties, and by law they cannot remarry. Some couples who object to divorce on religious or moral grounds, or who find the finality of divorce daunting, may want to file for legal separation as a transitional step. If the couple has children, the steps for filing for legal separation are similar to those for couples with no children. Reside in Colorado for 90 days prior to filing for legal separation, or confirm that your spouse has lived in Colorado for 90 days prior to filing. You and your spouse may file for separation jointly in front of a notary public or court clerk or independently. Complete a Case Information Sheet (JDF 1000), and a Petition for Dissolution of Marriage or Legal Separation (JDF 1101) as provided on the Colorado State Judicial Branch website. If you are filing independently, you will also need a Summons for Dissolution of Marriage or Legal Separation (JDF 1102). These must be filed in the county where you or your spouse lives. Serve the forms completed in Step 2 to your spouse if you are filing independently. A disinterested party over the age of 18 must serve the forms. These forms must also be notarized and returned to the court to provide proof of service. Skip this step if you and your spouse are filing together. Complete a Certificate of Compliance (JDF 1104), a Sworn Financial Statement (JDF 1111), a Separation Agreement (JDF 1115), an Affidavit for Decree Without Appearance (JDF 1201) and a Decree (JDF 1116). If you have children, the Affidavit for Decree Without Appearance is waived. Instead, the couple must file a Parenting Plan (JDF 1113) and Support Order (JDF 1117). In cases where one party does not agree with all issues in the Separation Agreement, each must also file a Pretrial Statement (JDF 1129). Complete an Initial Status Conference (through the court) with your spouse to discuss your case, exchange forms and check the status of all submitted forms. If you and your spouse disagree on any aspects of the separation, you may then have to participate in a mediation through the court to resolve any issues. If issues are not resolved in mediation, you will then appear in a contested hearing in front of the court to provide testimony and evidence against your spouse. File your Decree (JDF 1116) after the 90th day after filing for legal separation, provided that all other documents are complete. Robinson, Lindsey. "How to File Legal Separation in Colorado." 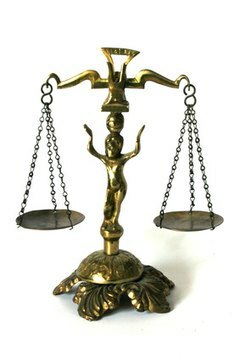 , https://legalbeagle.com/6952301-file-legal-separation-colorado.html. Accessed 24 April 2019.